Stepping into the garden can sometimes be a daunting task in the new year, but it’s one of the most rewarding things you can do for your health and wellbeing. Although the garden after winter can be a bit dull and lacking in colour, spring flowers will always reintroduce vibrancy, light and life back into your space. There are more obvious choices that come to mind first, in terms of your typical spring blooms, such as bluebells, snowdrops and daffodils, but many of these require the bulbs to be planted from the previous year. However, if you’re looking for different Spring plants to experiment with, there are many other unusual plants that are adjusted to a brisker environment and ones that thrive in it. Step out of your comfort zone and be adventurous with these specimens. 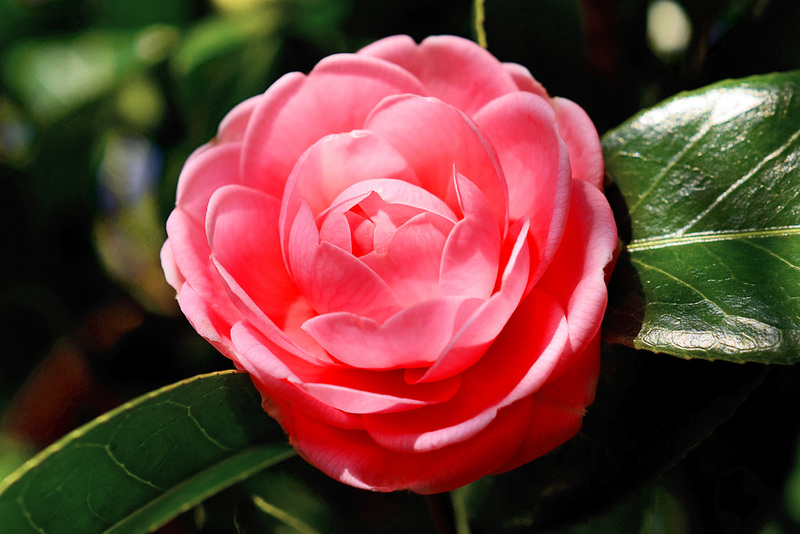 The spring-blooming camellia can bring substantial cheer to any garden after the cold winter months. Its colour varies from dark fuchsia, pale pink, salmon tones to the richest of reds. Because it is a flowering shrub, when its blooming season has finished its glossy leaves will reflect daylight into your garden and remain as a prominent foliage feature in your space year round. A wonderful variety to look out for is the camellia japonica ‘Korean Fire’. It flowers from March to May, producing a softer red flower with a large, bright yellow centre. It grows best in partial sun and keeping it in a well-drained and consistently moist soil will ensure the plant’s success. Hellebores are another option that bloom just at winter’s end around February, should you not want to venture out before the frost is thawed. These leathery flowers bring beautiful muted jewel tones to your garden. Different variations can produce alluring burgundy petals, acidic lime green petals, yellow petals speckled with flecks of maroon and many more should you search for them. Hellebores are more suited to well-draining soil and many varieties will bloom until April with proper care. These perennials are hardy and prefer partial shade. During the summer months, leave watering to a minimum or cease it completely, as this is their dormant period. If you’re looking for something with a little more foliage, then a boxleaf azara may suit you. This evergreen tree provides the garden with vibrantly rich green leaves streaked with pale yellow borders. It flowers earlier in the spring, giving you little yellow bursts of colour from each flower. One thing to be wary of with these trees is their growth rate. They can grow up to 25 feet tall in ten years, so it’s better suited to a bigger garden if it’s planted in the ground. It can be planted in a large container otherwise and in this case, it will need more watering. In the summer months, increase your watering cycle as it does not tolerate drought-like conditions for very long. Evergreen clematis is another option if you’re looking to spice up your garden earlier this year. Clematis “avalanche” is a dwarf version of your typical clematis plant, only reaching a height of around three metres. Its flowering period is between April and May and will prove a welcome addition to any garden. The petite, white, star-shaped flowers grow in clusters and although small, they create a sense of airy drama in your outdoor space. This plant thrives in most soil conditions as long as they are well-drained and can also be grown in a medium to large pot. Be sure to plant it in a section of your garden that has full to partial sun for a portion of the day. Once the flowering period has finished, prune your clematis and this will ensure strong growth for the future. If you’re looking for inspiration or ideas for colour combinations, take a walk around your area and look out for public planting displays. You could speak to your neighbours about their plants and if they have any tips for their care. There are types of plants, shrubs, flowers and trees to suit every individual and every garden. Step outside and find one that suits you today.